The beginning of the fourth century marked a new stage in the development of the Church. After centuries of vicious persecution at the direction of the Roman Emperors, an Emperor of Rome became a Christian. This was Constantine the Great, who in the year 313 granted Christians freedom of worship. The Edict was a recognition that the Church not only had survived the persecutions but also had become a significant force in the Empire. From that time onward, the Church and the Empire began a very close and mutually beneficial relationship. Not only did the Church receive imperial support, but also the evils which had characterized the old Roman Empire were greatly reduced in Christian Byzantium. The Church was truly a leaven of the society of which it was a part. The fourth through the tenth centuries were a significant period for the Church's internal development. The authoritative content of the New Testament was determined. The Services of Worship received a formal framework. The Teachings of Christianity were developed by great pastors and theologians who are known as the "Fathers" of the Church. It was also a period of missionary activity. Among the most important was the evangelization of the Slavs by Saints Cyril and Methodius. However, the period was not without struggle. The Byzantine Empire was constantly on guard against the neighboring Persians and Muslims. The Church itself was frequently afflicted with many grave schisms and heresies. For example, serious schisms took place in the years 431 and 451. Among the greatest heresies was Arianism, which taught that Christ was not truly God. This heresy plagued the Church and brought havoc to the Empire for nearly a century. From the beginning of the 20th century, the Orthodox Church has been committed to the Ecumenical Movement. This quest for Christian unity is the boldest attack on division since the early centuries of the Church. The Patriarchate of Constantinople not only inspired the movement for unity with an encyclical in 1920, but also was one of the co-founders of the World Council of Churches in 1948. 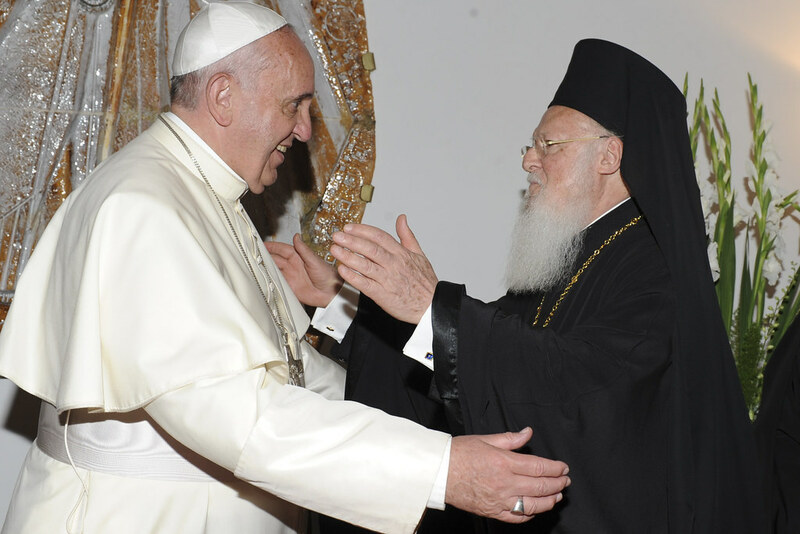 The cause of Christian unity was a special concern of the late and beloved Patriarch Athenagoras. He labored greatly to promote a renewed sense of collegiality among the various Orthodox Churches, as well as to inaugurate a true dialogue with the Roman Catholic Church. In the year 1968, the Patriarch looked toward the future and declared: May the Lord of mercy send as soon as possible to our holy Eastern and Western Churches the grace of celebrating the Divine Eucharist anew and of communicating again together... The common chalice stands out luminously on the horizon of the Church.